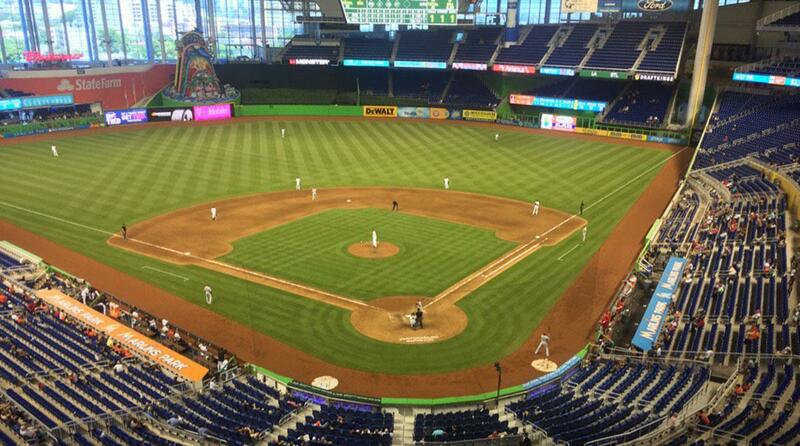 do you really need a caption to tell you it's a Marlins game? Everyone wants to go to the best games, the best matchups, the most important tilts. Nobody wants to go to the worst. Well, except me. Consider all the MLB playoff spots that will come down to this final weekend. The Dodgers, Cubs, Brewers, Rockies, Cardinals A’s and Yankees all have something at stake. But I don’t want to be at any of those series, because those are the obvious things to pay attention to. I have always thought it would be great- as a baseball fan that doesn’t need to have playoffs on the line- to go to the worst last series of the year. This really galvanized in 2012, when the Astros and Cubs, when they were both in the NL Central, were both 100+ game losers and played each other to end the season. It was the first time two teams with 100+ losses had played each other in more than 50 years. I thought that would have been a great series to attend merely to see who the hell else went to that series voluntarily. It was at Wrigley, so obviously it was well attended just because it was a Cubs game, but what the hell would that have been like in Houston, or anywhere else for that matter? I would like to go and talk to who's there. Is it parents of the 40th man on the roster waiting for his MLB debut? Is it all die-hards? Is it people making their ballpark tour and needed this one to finish the season? Who is there, exactly, and why? I think it would make a great documentary. So now, every year, I check to see which would be the worst last series to attend. In truth, the worst last weekday series would be the “best” to attend because on weekends there’s generally some sort of crowd regardless. For the final Monday-Thursday series there’s usually not much of a crowd for teams well out of a playoff spot (for instance, the Padres-Giants series featured more seagulls than people). I have rather simple rules to determine the best worst final series of the year. Obviously, it should not involve any playoff teams. It should also not involve any teams over 500. Thus, the 112-loss Orioles, who should be in the mix, are not an option because they are hosting the AL West champion Astros. Similarly, the 102-loss Royals are hosting the AL Central champion Indians. You understand how this works, there needs to be zero things at stake for either team. The White Sox have 96 losses and are hosting the 84-loss Twins, so there’s our first real option. The 94-loss Tigers are at the Brewers, who are fighting for the NL Central, so they’re out. Side note, the AL Central has been abysmal this year. The Tigers have 94 losses and they’re likely going to finish 3rd. On the NL side, the Reds have 93 losses but the Pirates are potentially going to finish 500, so forget it. The Padres have 95 losses and are taking on the D-Backs, who despite a horrendous collapse could still finish 500. 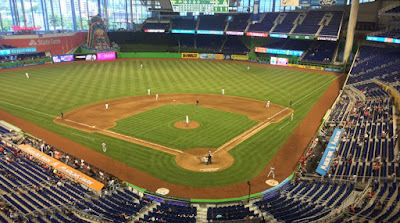 I’ll spare you going through the rest of the teams to say that this year’s “winner” is Marlins at Mets. Yes, they have the same exact records as the White Sox-Tigers series, so if you preferred that you could be there. There are actually standings in play, as the Tigers are two games ahead of the White Sox for 3rd, so there’s kind of something for both teams to play for, which goes against the entire idea of this. So I pick New Shea because it’s a last place team (Marlins) versus a 4th place team (Mets). Your argument for this series being relevant is that a guy who hasn’t played in three years is going to basically pull a Minnie Minoso and play like an inning just to say he did? Maybe you should re-think your thought process, because you just successfully pointed out why this series is useless.